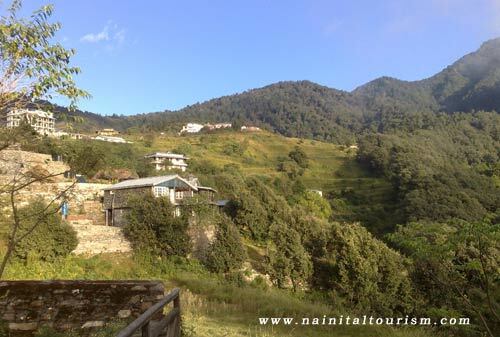 Pangot Or Pangoot Or Pangooth Is Small Village 15 kilometers From Nainital, The Drive Takes Only 35 Minutes To Get There. The Entire Drive Is Through The Forested Area Of Cheena Peak Range Via Snow View Point And Kilbury, The Main Habitats For Excellent birding. If You Want To Swap The City Life For Some Bird Song, Then Pangot Is The Ideal Getaway To Be With The Birds And Wildlife. One Can See A Variety Of Himalayan Species Along The Way Such As Lammergeier, Himalayan Griffon, Blue-winged Minla, Spotted & Slaty-backed Forktail, Rufous-bellied Woodpecker, Rufous-bellied Niltava, Khalij Pheasant, Variety Of Thrushes Etc. Almost 150 bird Species Have Been Recorded At Pangot And Surrounding Areas.The Numerous Perennial & Seasonal Creeks Are Home To An Amazing Variety Of Flora And Fauna Including The Leopard, Yellow-throated Himalayan Martins, Himalayan Palm Civet, Ghoral, Barking Deer, Sambhar Etc. Nainital, Kilbury And Pangot Have The Richest Oak, Pine And Rhododendron Forest In The Area. This Green Belt Supports An Enormous Variety Of Himalayan Flora And Fauna. There Are Many Walking Trails Through The Surrounding Jungle. You Can Choose Your Own Trail. One Of The Popular Walks Is From The Kilbury Forest Rest House To Pangot. You Can Go Through The Forest Or Along The Main Road, Which Rarely Sees Vehicles Pass By. The Oak, Pine, Bamboo, Cedar, Rhododendron And Other Conifers Make The Walk Delightfully Beautiful And Refreshing. The Undergrowth Is As Fascinating With Varieties Of Fern And Moss Breaking Through The Rich Soil. 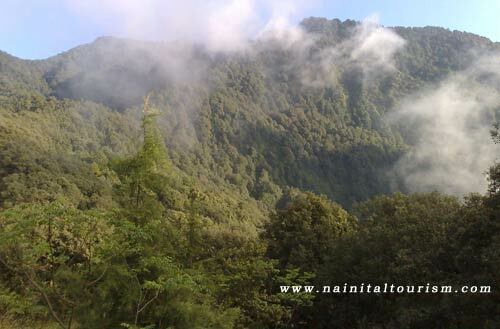 Nainital Tourism provides 3 different Camps For Camping In Pangot. 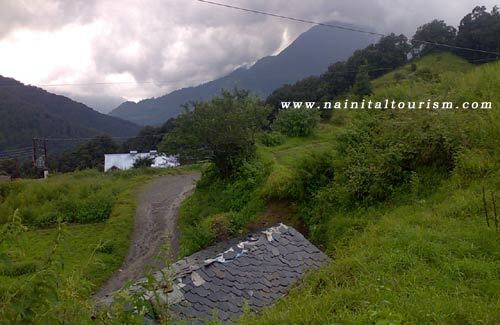 Nainital Tourism offers Online Booking For Various Hotels & Resorts in Pangot.